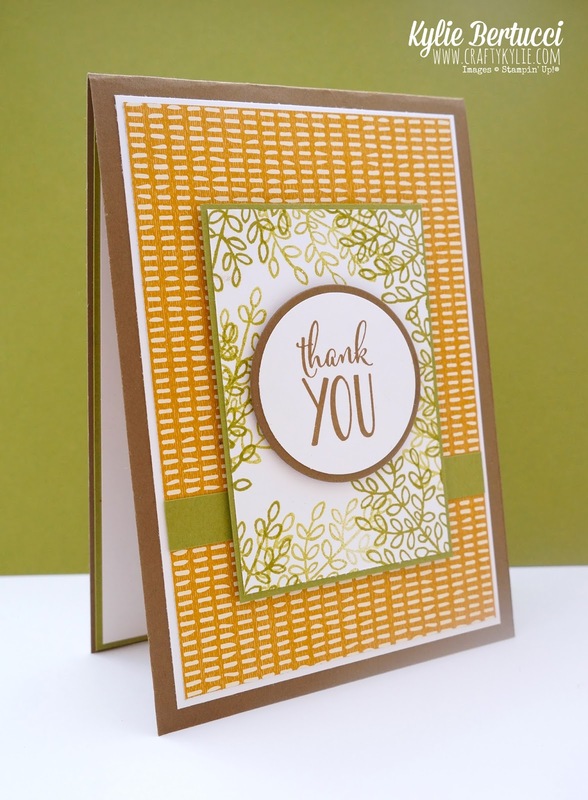 I love the clean layers on this card and yet I have made the sentiment the stand out. 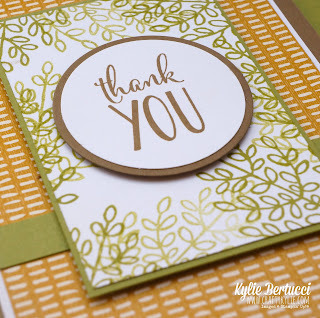 That sentiment is from the Happy Happenings stamp set. The lighthearted leaves set is the most gorgeous set and I love it stamped off in the Old Olive. 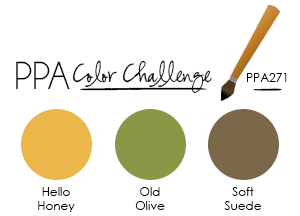 Here are the colours that were the challenge over at the Pals Paper Arts. Aren't they gorgeous colours together? 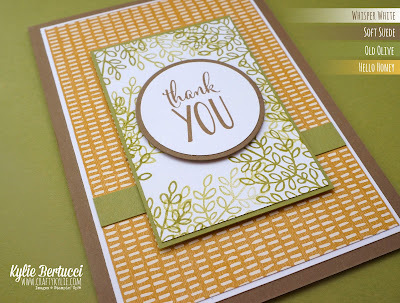 I absolutely love this card, Kylie! Such a great use of this paper - and those leaves. The leaves! Thanks for playing along with this week's Pals Paper Arts Color Challenge. Yes the bohemian paper hasn't had much use lately so it was great to be able to use it. Thanks for being part of such a great challenge blog so I can play along! Love it!! So clean and very creative!! Thank you for playing along this week with the Pals!!! Thank you! Yes I love a clean card. Kylie... love this... the strong silent type. Great job! 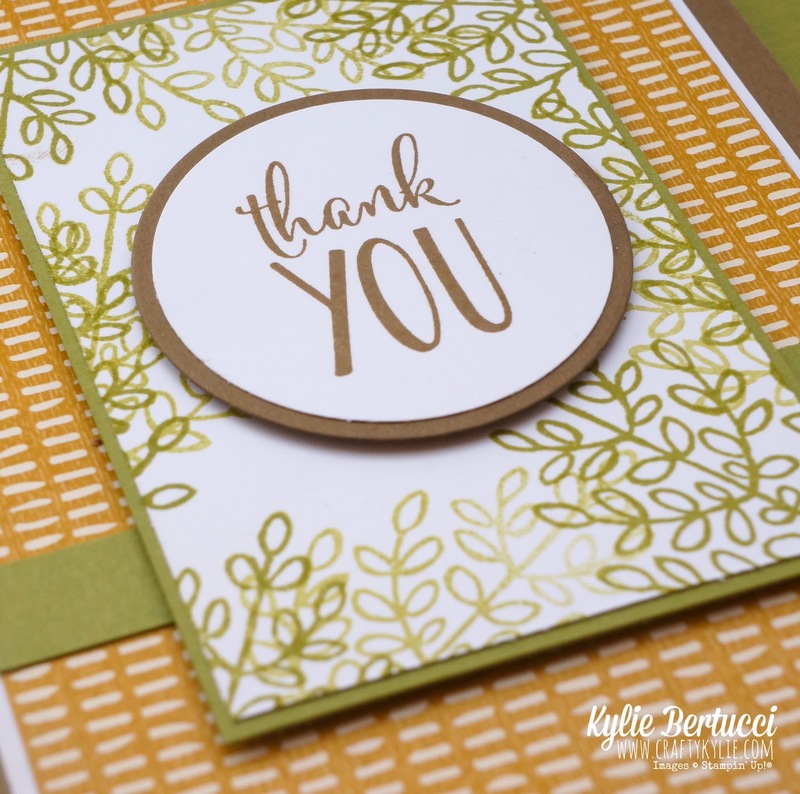 Thanks for playing with Pals Paper Arts this week! That's a great way to describe it! Thanks for having me - I love playing along with the Pals - you guys are an awesome team. So bright, cheerful, and colorful. Your cards take my breath away. Thank you for joining us this week at the Pals Paper Arts challenge. Awwww Maggie you are so kind! Thank you very much. Glad I can play along love the pals challenges.